New York’s adoption of a carbon charge will likely increase the state’s wholesale energy prices, decrease prices for zero-emission credits and boost energy revenues for new “Tier 1” renewable resources supported by renewable energy credits, industry stakeholders heard Monday. NYISO is aiming for its carbon charge to be “reasonably transparent and predictable,” ISO staffer Nathaniel Gilbraith told a May 21 meeting of the Integrating Public Policy Task Force, which is examining the impact of carbon pricing on New York’s wholesale market. The charge should also “avoid distorting dispatch decisions away from grid power that can create emissions leakage,” he said. The ISO earlier this month proposed to incorporate the carbon costs into its market by deducting a uniform carbon emissions charge from each energy supplier. (See NYISO Floats Carbon Pricing Straw Proposal.) Resources with zero point-of-production carbon emissions — including nuclear, conventional hydro, wind and solar generation — would not be assessed a carbon charge. Brattle also concluded the charge would increase energy revenues for new Tier 1 renewables (resources supported by RECs), thereby driving down REC prices on an equivalent basis, although it cautioned that the offset could be lower because RECs are solidified in contracts while the carbon charge is subject to revision. 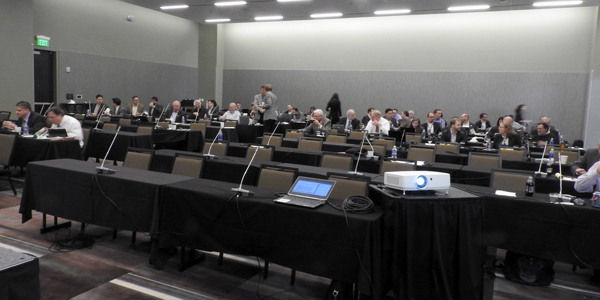 But the proposal would not reduce prices for fixed-price REC contracts already in place, the group said. The report also speculated that the Regional Greenhouse Gas Initiative may already be causing a leakage of allowances and emissions to other states not under the mandatory program. To combat leaks from a future New York program, Brattle suggested the state impose border charges and reduce the number of allowances it offers. NYISO staff acknowledged that potential changes to RGGI make it difficult to predict exactly how New York’s carbon pricing will interact with the program. A new RGGI cap is set to take effect in 2020, and New Jersey and Virginia are both contemplating joining the program. The impact of a carbon charge on consumers is even less clear at this point. NYISO Manager of Economic Planning Timothy Duffy said the ISO is working with Brattle on a consumer impact analysis that will study 2020, 2025 and 2030 using a reference case scenario from its annual Congestion Assessment and Resource Integration Study. The study assumes the existence of 250 MW of offshore wind and attainment of New York’s Clean Energy Standard by 2030, and also incorporates the latest large-scale renewable procurements issued by the New York State Energy Research and Development Authority. The ISO will also study impacts on locational-based marginal pricing and other metrics in 2030 using a model assuming 2,400 MW of offshore wind coming online by 2030, and another scenario in which the R.E. Ginna nuclear plant and Unit 1 of the Nine Mile Point Nuclear Station retire by 2029. The NYISO/Brattle study will use NYMEX futures and prices in the U.S. Energy Information Administration’s Annual Energy Outlook to project natural gas price estimates. Duffy said more assumptions for the analysis will be presented in early June. NYISO is also considering requiring generators to self-report emissions data on a weekly basis for billing, with true-ups occurring against reported emissions in a trusted database, such as those maintained by EIA or EPA. Gilbrath pointed out that the “vast majority” of New York’s fossil-fuel suppliers are already subject to emissions reporting through RGGI. 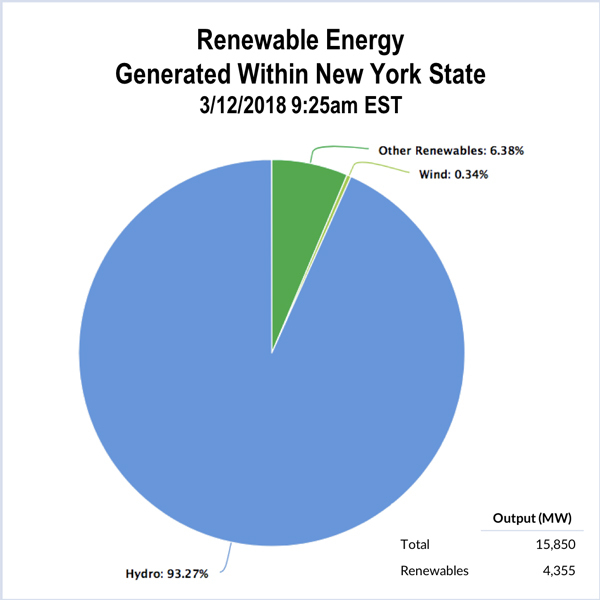 NYISO’s 140 generators over 25 MW and 18 cogeneration plants are required to report under the program, leaving 114 generators representing 98 GWh of net generation in 2017 without existing reporting obligations. NYISO’s carbon pricing would cover “burner tip” carbon emissions directly attributable to wholesale energy and ancillary services, including start-up times and no-load levels, GIlbraith said, but he asked stakeholders for other suggestions about how the ISO should manage emissions reporting. Gilbrath said NYISO will not charge upstream carbon emissions, emissions associated with compressing natural gas for use in power plants or other greenhouse gasses, including methane and nitrous oxide. He said excluding those emissions would help keep carbon pricing predictable and gives suppliers certainty.